Every year I have some excellent gift recommendations for Christmas and other holiday events. This year I have a special tip. 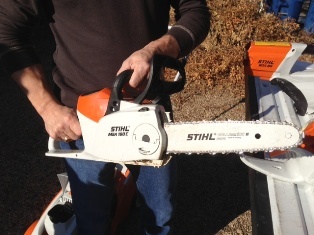 As most of you know, I have recommended and personally used the fine products from STIHL for many years. Some of those products include their backpack sprayer, hand pruners and chainsaws. 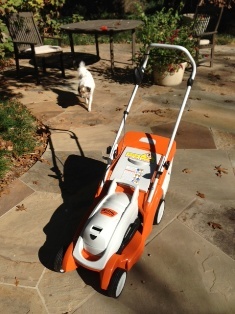 What’s new is this: STIHL now has battery operated powered tools. They aren't toys, but serious equipment. . To give a special present to someone (maybe even yourself) this holiday season, check out these products in a hardware, lawn equipment or farm store near you. The interchangeable batteries fit the chainsaw, mower, blower, edger and hedge trimmer. Tator likes how quiet the new mower is. To discuss this newsletter or any other topic, tune in 8am -11am CST to the Dirt Doctor Radio Show. The phone number is 1-866-444-3478. Listen on the internet or click here to find a station in your area.